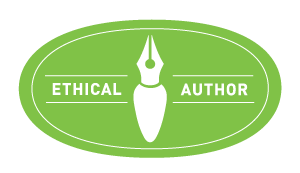 It can be found in nature, and through the eyes of the artist or photographer. Through the miracle of the internet, I can find inspiration any time of the day or night, just by seeing what the picture of the day at Wikimedia Commons is. 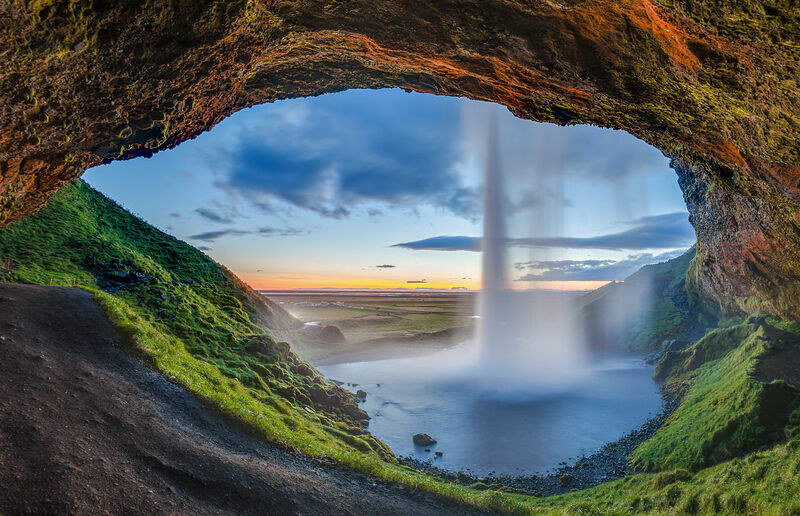 This was today’s gorgeous, surreal image: Sunset view from the back of the Seljalandsfoss waterfall, photo by Diego Delso, Wikimedia Commons, License CC-BY-SA 4.0. 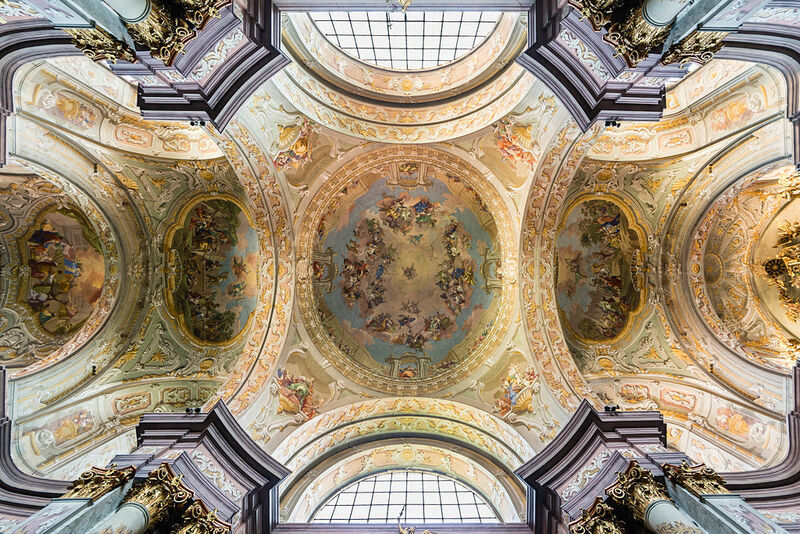 Several days ago, the image of the day was architectural: The ceiling frescos in Herzogenburg Monastery Church (Lower Austria). The church was consecrated on October 2nd, 1785. This image was uploaded by an author who uploaded with the user name Uoaei1, but who has won many awards for his/her images. 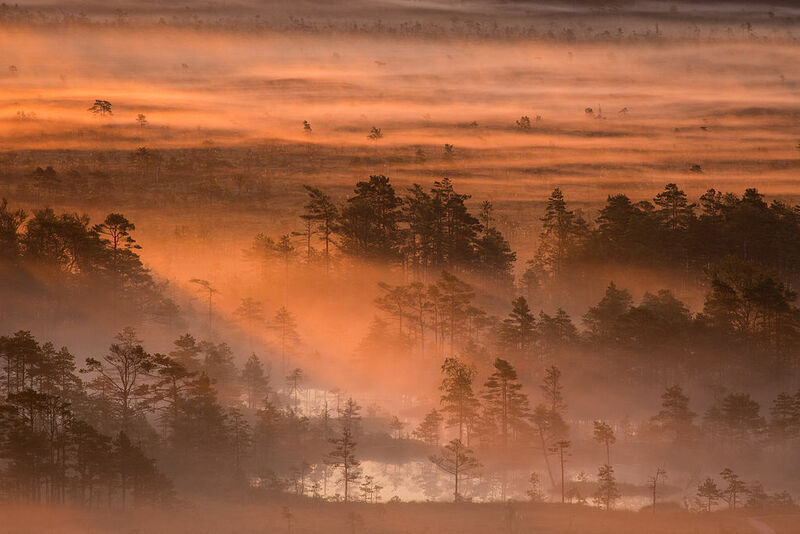 Then there was this gorgeous photograph by Märt Kose: Morning in Tolkuse bog, Luitemaa Nature Conservation Area, Pärnu County, Estonia. 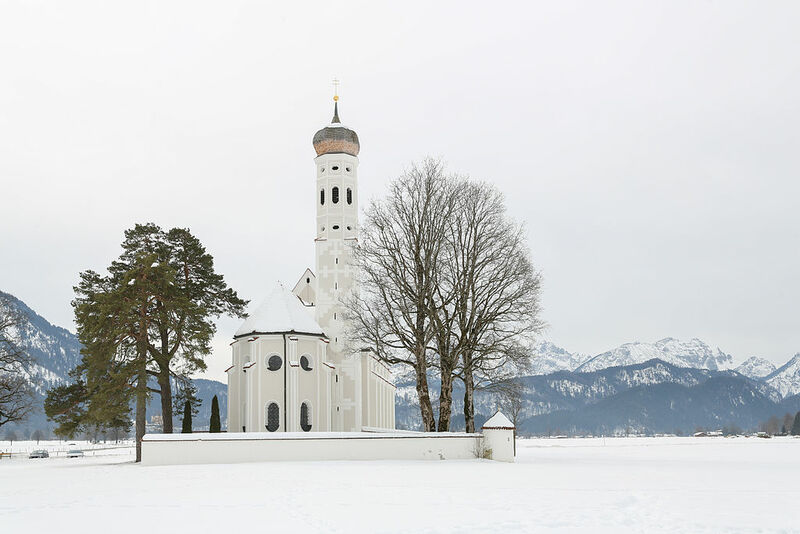 Winter landscape of St Coloman church (de), photographed by Diego Delso, and located in Schwangau, Bavaria, southern Germany. St Coloman church is of baroque style and was constructed, the way it is today, in the 17th century in honor to Saint Coloman, replacing a chapel of the 15th century. The Irish pilgrim is said to have taken a break at this spot in his pilgrimage to the Holy Land in 1012. I can visualize the crusaders riding in this winter landscape. I would have stopped there too! The first is a photograph is the Panoramic View of the Nymphenburg Palace as seen through Diego Delso’s camera-eye and posted on Wikimedia Commons using the License CC-BY-SA 4.0. 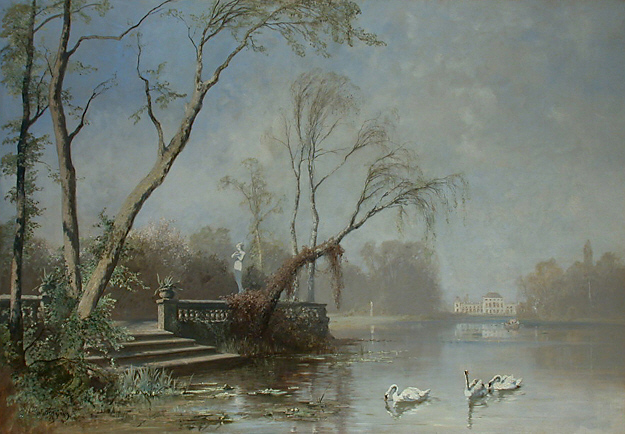 The painting below that is the palace as seen through the artist Joseph Wenglein‘s eye, A Seaside View of Nymphenburg Palace. Both images are the creations of artists using different mediums, both are of the same baroque palace in Munich, Bavaria (southern Germany). The palace is the main summer residence of the former rulers of Bavaria of the House of Wittelsbach. It was designed by Agostino Barelli and constructed by order of Ferdinand Maria and Henriette Adelaide of Savoy in 1664. Famous for its symmetry and extravagant beauty, the palace was expanded and redesigned several times until the last modifications in 1826. 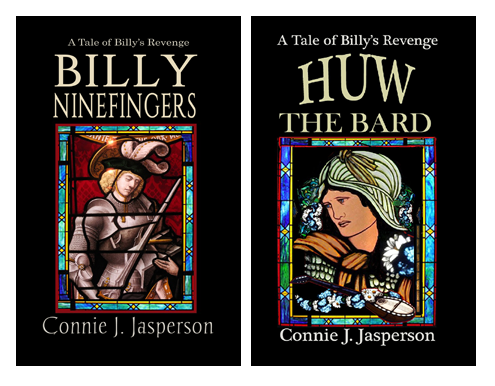 More than 125 years separate their visions, but I am connected with and inspired by both artists because I, a middle-class woman in a rural town, can view and admire their work.